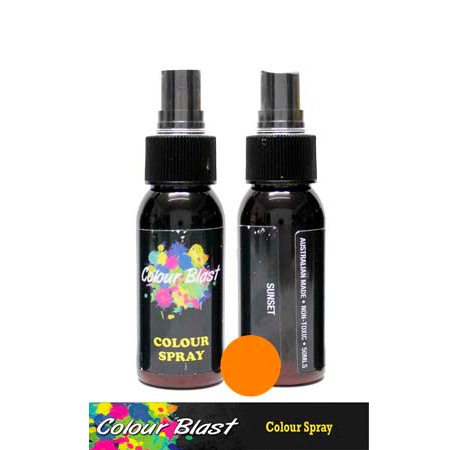 This product is a water based dye spray. Directions: Shake well before use. Spray directly onto porous surfaces for coverage. Re-apply for desired finish. Can add water to the project surface if you wish to dilute colour. Can mix this spray with mediums such as Colour Blast White Gesso to create a coloured medium - simply spray spray into medium and mix. Water based, acid free, non-toxic and non flammable. Warning: Not for use under 12 years of age without adult supervision. Do not drink. Avoid contact with eyes. If you get this in your eyes, wash your eyes out and seek immediate medical attention.